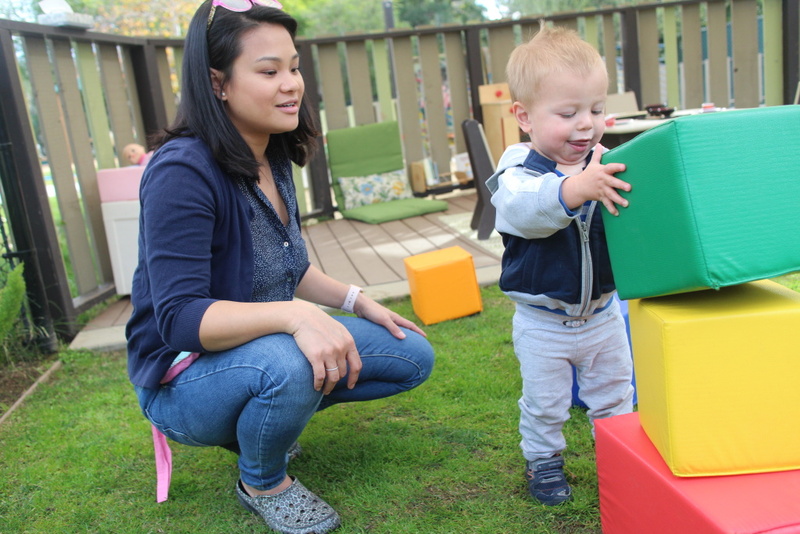 Eloisa McGah, lead teacher in the infant classroom at the Children's Center at CalTech, observes 18-month-old Elliot as he stacks blocks. 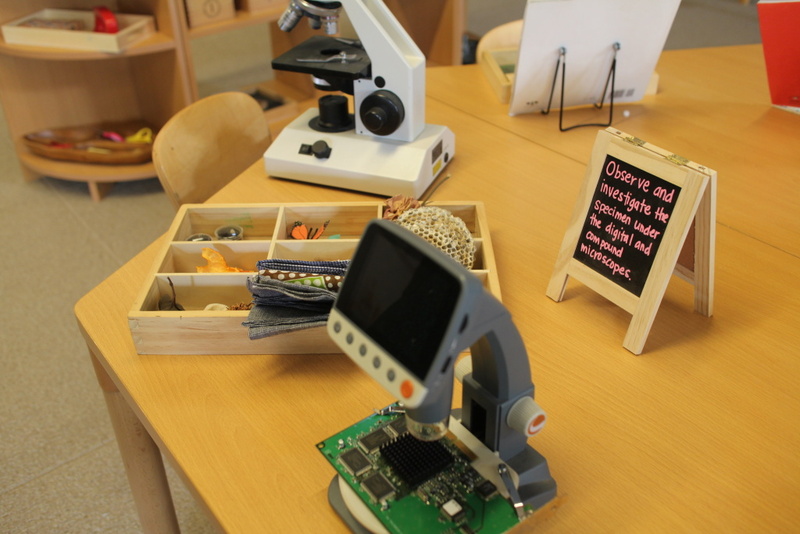 Teaching science, technology, engineering and math to babies may seem like a daunting task, but for educators at Children's Center at the California Institute of Technology, it's the perfect age to introduce the concepts. "The baby is the ideal scientist," said Susan Wood, executive director of the Children's Center. They’re exploring, they’re wondering, they’re experimenting, they’re drawing conclusions – so we just want to build on their innate skills." That's why she and other researchers at CalTech created the Early Childhood STEM Conference to give educators tools to view everyday activities as chance to teach little children about science, technology, engineering and math. Hundreds of early childhood educators are gathering Friday and Saturday in Orange County for the seventh annual conference. 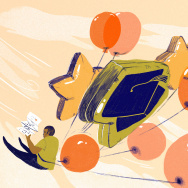 "There’s a big buzz about STEM education," said Wood. "The problem is it’s never really been taught intentionally enough to early childhood providers, so they really don’t know what to do. 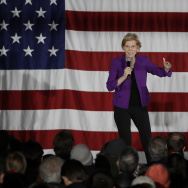 It’s our job to give them those ideas." Teachers at Children’s Center put these ideas to work in classrooms everyday, even with infants. Their curriculum is based in play but also emphasized the concepts of force and movement. "They're just playing, but really if you dissect it, you can see that there's math in there, there's science in there," said Eloisa McGah, a lead teacher in the infant classroom at the Children's Center. She will be presenting some of the techniques she uses with the 6- to 18-month-olds she works with. Stacking big blocks and watching them fall is a lesson in balance. Burying and uncovering toys in the sand is a lesson in object permanence. Every time a teacher picks up the tongs to place a snack on a child's plate, they say, "squeeze," as they pick it up, and, "release," as they put it down. This aims to teach children about cause and effect. 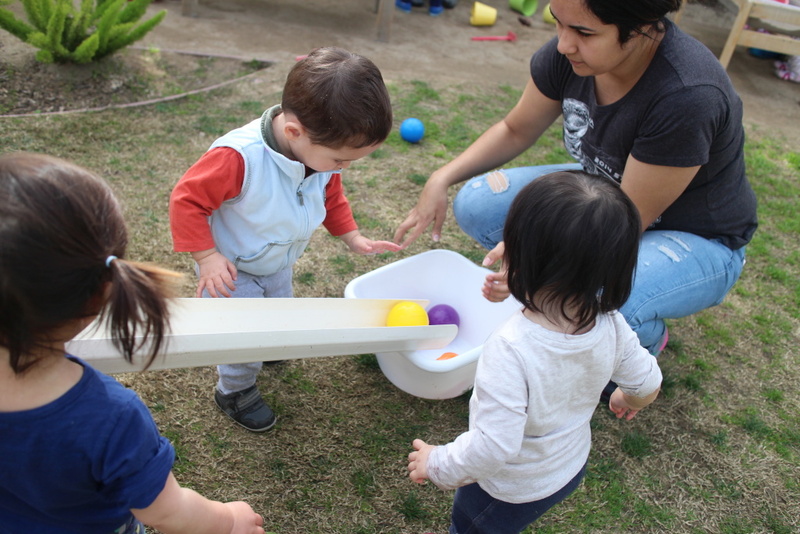 One simple move Wood suggests is placing, scientific tools like measuring cups and funnels, into the water tables that most preschools have. "It’s not that there’s direct instruction of this is a measuring cup," Wood said, "but there’s more potential for something to happen." After setting the foundation in the infant class, things get a little more sophisticated as children age. Four-year-olds in the preschool classes at the Children’s Center are ready to make graphs and use microscopes.